Billy On The Street is a TV show about one very loud man running up and down the street while regular people cower in fear or shout out the names of celebrities at his command, so it makes sense that the show itself would also constantly be on the move. The show initially premiered on Fuse and stayed there for its first three seasons, but in 2015 it moved to TruTV for seasons four and five. Now, fresh off of an Emmy nomination (it lost to Saturday Night Live), Billy On The Street is once again heading to a new home. Oddly, though, we don’t know where that new home is just yet. 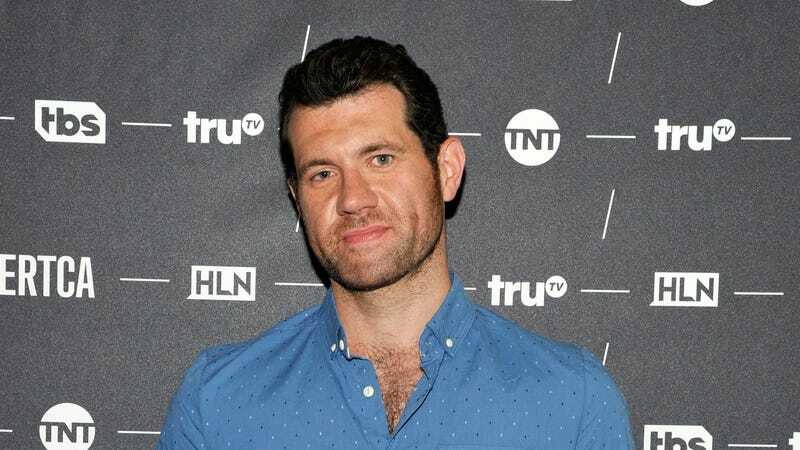 This comes from Page Six, which says that an insider source has confirmed that the show won’t be “going away,” but it is “going to be distributed differently.” Apparently, the source noted that host Billy Eichner is pretty busy these days and “doesn’t have time to devote to full episodes,” so the people who work on the show are coming up with “a way to do it.” Variety has separately confirmed this, with a TruTV spokesperson confirming that the show won’t be returning to the network.